Question: My GP has advised my husband to have a medical driving assessment as he has been having some problems with driving e.g. making small errors, he has had a few minor accidents and has become a bit lost once or twice - is this the sort of test he needs? Is this what we should be doing ? Answer: Yes, this test is specifically designed to measure the impact of medical conditions on driving ability, that result in some of the problems you have just mentioned. Question: Will information acquired during any assessment be sent to the doctor or other person without my consent? Answer: No, Privacy will always be respected. A form covering the Privacy of the Individual is provided for the client’s approval and signature. Where the client is a child, or requires the signature of the dedicated caregiver, that person’s signature will be sought. Question: Will you take my driving licence if I fail? Answer: No. The information gained by this assessment will be sent to the general practitioner, who will use these results as part of the decision making process. NZTA will make the final decision on whether a person’s driving licence will be renewed or revoked. Question: Does the road test involve going on the motorways? Answer: No. The driving test includes suburban streets only. The course uses suburban streets between 10am to 2 pm. The course is specifically designed to reveal cognitive impairment. This is not a road code test, for clients who are experienced and previously/ currently licensed drivers, it would be expected they drive within the NZ road code rules. Question: Do you have any advice for those who have to plan for no longer being able to drive? Answer: Yes, I can provide information and assist with the discussion of this aspect. You can also apply for 50% Taxi fares with CCS or Alzheimers Foundation, or Age Concern. Question: What will I have to do, when I take the test? Question: How much does the driving evaluation cost? The DCAT test is 95% accurate in predicting the on road performance. 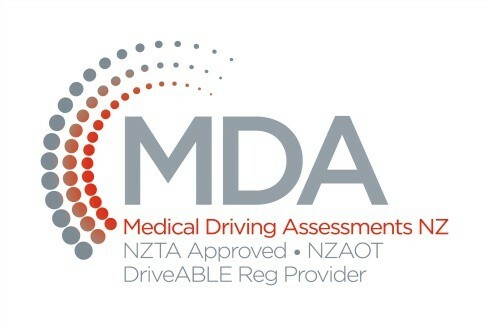 If the DCAT result shows the client is clearly medically unsafe to drive, and the client decides to accept this as an indication to cease driving, the on road test is not necessary.